U.S. farmers planted the largest corn crop since 1944 this year after growing demand for corn-based ethanol helped propel corn prices to their highest level in more than a decade. But the expansion of corn production in America’s Heartland is fueling concerns farther south where agriculture-related runoff funneled into the Gulf of Mexico via the Mississippi River is threatening ecosystems and one of the nation’s most productive fisheries, already stressed by dramatically declining wetlands. Corn production in Iowa, Missouri and Nebraska, scientists say, is killing fish in the Gulf. Agricultural runoff is blamed for more than half the pollutants that make their way into the Gulf each year, contributing to an expansive area of oxygen depletion known as hypoxia. This creates a dead zone where it is nearly impossible for marine life to survive. 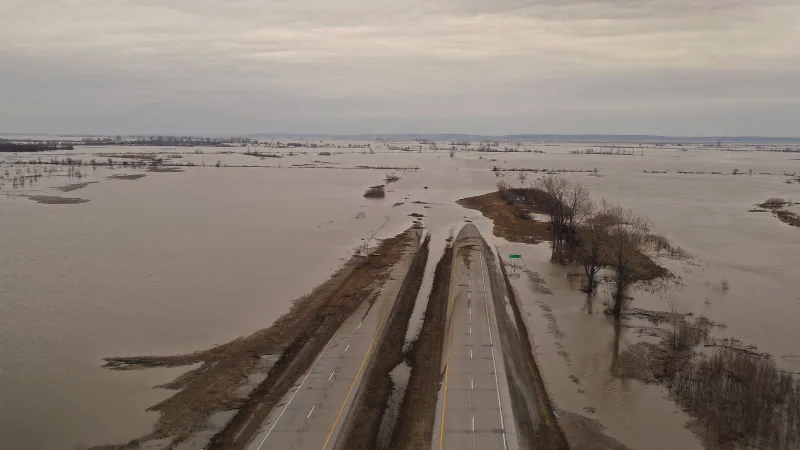 The seasonal phenomenon begins in the spring as nutrients such as nitrogen and phosphorus, commonly found in crop fertilizer, flow down the river after rain runoffs and into the Gulf where they spur the growth of micro-organisms. As these organisms die and decompose, the water is depleted of oxygen, suffocating aquatic animals unable to flee. The problem peaks around July before tropical storms and cold fronts later stir up the water and replenish oxygen. Corn production is the primary source of pollutants responsible for the dead zone, said Don Scavia, a professor of natural resources and environment at the University of Michigan. “That’s the dominant crop … and corn is very, very leaky,” he said. Nitrogen used in corn fertilizer tends to drain off the crops into nearby waterways. Farmers planted 92.89 million acres of corn this year, up 19 percent from 2006, according to the U.S. Department of Agriculture’s Economic Research Service. In 2007, 3.4 million bushels of corn will be used for ethanol, 58 percent more than last year and more than three times the corn used for biofuel just five years ago. The push for corn-based ethanol is driven in large part by millions in loans and subsidies awarded to ethanol manufacturers and corn farmers. President Bush has named ethanol production a major plank in his plan to reduce the national dependency on foreign oil. 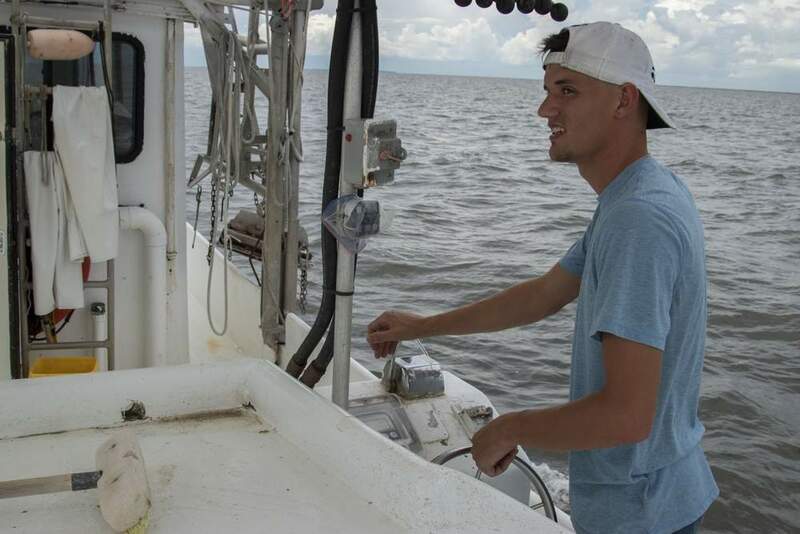 This summer, the Gulf dead zone was the third-largest on record at an estimated 7,900 square miles, said Nancy Rabalais, lead scientist in a research team with the Louisiana Universities Marine Consortium in Chauvin, which measures Gulf hypoxia each year. 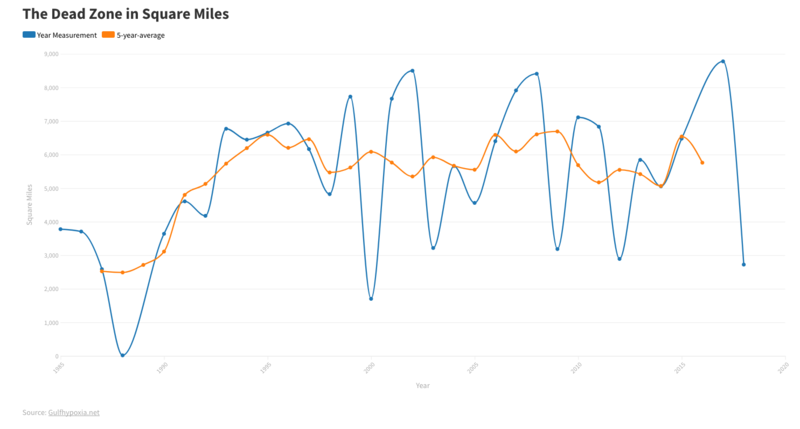 Based on levels of pollutants measured in the river this spring, Rabalais expected the dead zone to exceed 8,500 square miles, making it the largest since she began mapping the zone in 1985. But she isn’t cheering the discrepancy. Some oxygen-depleted pockets were probably not found, she said. A federal-state task force formed by the U.S. Environmental Protection Agency in the late 1990s to address hypoxia presented an action plan to Congress in 2001. “Almost nothing has happened, primarily due to a lack of funding,” Rota said. 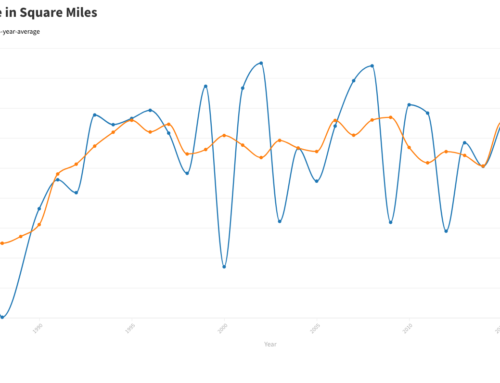 Meanwhile, the dead zone has more than doubled in size from when Rabalais began measuring it. Scientists and seafood interests worry the dead zone could doom the state’s fisheries. 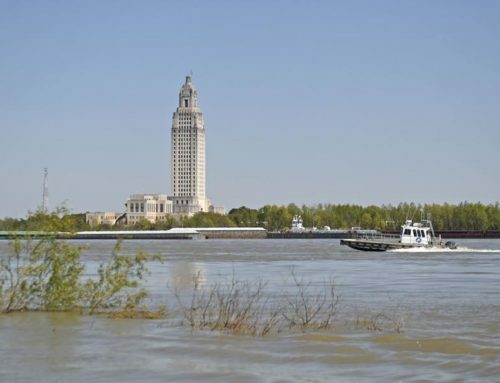 “We’re lucky there hasn’t been a crash,” said Doug Daigle, hypoxia program director with the Mississippi River Basin Alliance in New Orleans. 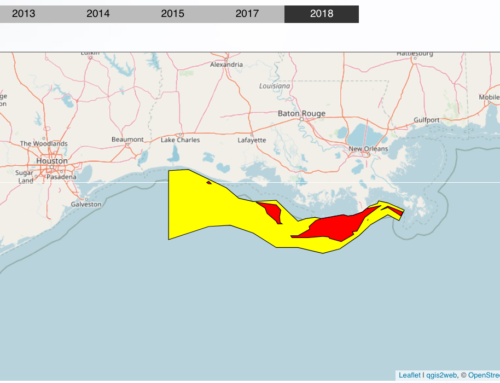 In Louisiana, which boasts the second-largest seafood industry in the nation behind Alaska and supplies the nation with more than a third of its seafood, Daigle said fisheries are threatened by two environmental challenges that could lead to a crash: hypoxia and the collapse of coastal wetlands. 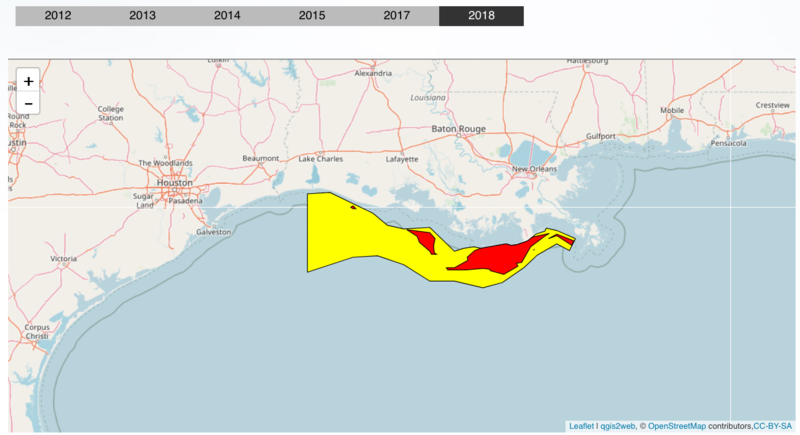 Paradoxically, Daigle said, as the dead zone expands, some fishermen are achieving record hauls by traveling outside the oxygen-depleted area to scoop up shrimp and other catches that have gathered en masse along its edges. But not everyone can afford the larger boats and extra fuel required to do that. 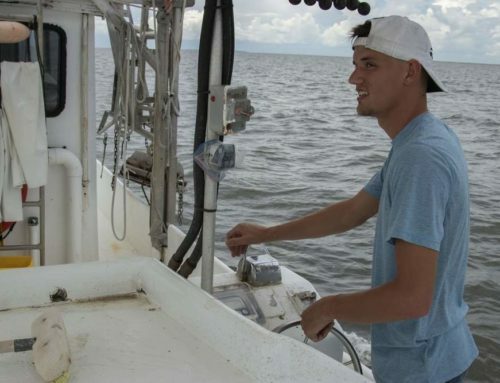 Fishermen gathered on Grand Isle recently to urge immediate action to combat the dead zone, which is wreaking havoc with their harvests. Experts say the dead zone can be greatly reduced given proper investment upstream to reduce pollutants allowed into the watershed. They say incentives should be offered along the river basin to restore wetlands, which soak up and thrive on nutrients such as nitrogen. Additionally, farmers should be encouraged to install buffers between crops and waterways to prevent fertilizer runoff. Some say the push for corn-based ethanol should be re-evaluated. “Corn ethanol is basically political holy water,” Scavia said. Thanks to the fossil fuel required to grow and harvest the corn and subsequently manufacture ethanol from it, “you produce only a little more energy that it takes to produce it,” he said. 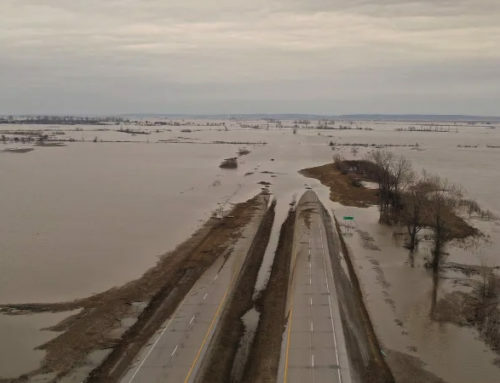 There are also the ecological consequences to consider, Scavia said, such as increased nitrogen runoff that is polluting waterways and the large amounts of water required to produce corn in areas already struggling with inadequate water supplies.